Kerry Haber is the president of Bernardon. Bernardon provides architecture, interior design, and landscape architecture services with offices in West Chester, PA; Philadelphia, PA; and Wilmington, DE. The firm has worked on numerous multimillion-dollar projects in markets such as housing, retail, higher education, corporate warehousing, hospitality, and civics and cultural centers. Recognized for its sustainable practices, commitment to quality, and prodigious growth rate, Bernardon has won honors and awards from numerous trade groups, industry publications, and regional programs. EDWIN WARFIELD: How did you get your start? KERRY HABER: I started having visions of being an architect when I was in sixth grade. I remember drawing pictures of houses. By the time I was in high school, I was intent on being an architect. I was always fascinated with construction, watching projects go up. The most interesting thing about architecture is the blend of the science and technical side with the art side. I’m not an artist but I appreciate it. Architecture is way to blend the two. In addition to that, you add the social impact, the environment, and working with people and creating places. It’s a wonderful blend of many, many disciplines and that’s always interested me. 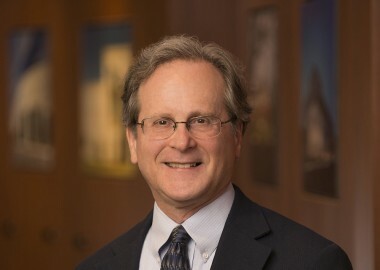 The firm was founded by Art Bernardon in 1973. I was actually the first person that he hired. I came there for a summer job. It’s easy to get a summer job in your hometown, and you figure that’s a short-term endeavor. But then one thing led to another. We got some very interesting projects, one after another. All of a sudden, the firm was growing. I became vice president. Then I became principal and shareholder. Q. How has the firm and what you do here evolved over the years? A. I’ve been there a long time. It’s as if I’ve been in four or five different firms because of all the changes that have taken place over the years. We do architecture, interior design, and landscape architecture and planning. We started out as a straight architecture firm. To service our clients, we felt it appropriate to extend our services to related disciplines. Interior design is a natural offshoot of architecture, and we probably have about a dozen interior designers now. [Bernardon Principal] Timothy Cassidy both has a degree in architecture but he’s also a registered landscape architect and planner, so that enabled us to help our clients at the very beginning of the process. That’s how we broadened our scope. But we have stayed with architecture and not taken engineering as a discipline. We prefer to pick our engineers—to be mechanical, structural, etc.—to suit the particular project that is underway. So, we’re a straight architecture firm but a full-service one. When you first start an architecture practice, most people start with single-family residential. That was a big part of our firm originally. Art Bernardon just loved that, and he stayed heavily involved in that and still is. But I tended to take over the corporate piece, and corporate led to health-care and industrial. I find it very interesting to try to create places where people work. We all spend a lot of time in our place of business, and so we try to create that place in that environment. It gives me a nice range of projects to do: corporate headquarters, back office, million-square-foot warehouses, and a lot of clinical space for health care. I dabble in retail and other venues, but those are the main ones, and that keeps me pretty busy. Written by Edwin Warfield; Originally published by Philadelphia CityBizList.